Weddings at Lissanoure Castle are certainly beautiful and exclusive.If you are planning your wedding and would love to have the stunning backdrop of a private estate and castle then Lissanoure certainly fits the bill , with some stunning wedding photography options. Lissanoure Castle is a privately owned family estate near to the village of Loughguile in County Antrim. It is a stunning location surrounded by lakes and woods and the castle buildings themselves give a spectular background. It is a truely fairy tail venue which offers a plethera of photographic options both inside ans outside. There is of course the beautiful castle itself with lots of little features, there are lovely doorways and arches, and of course there is the river , bridge and lake so from a wedding photography perspective there is something of all tastes. The Castle Coach Houses has been beautifully and tastefully restored to host weddings with a unique semi circular building and courtyard with entrance hall, and Dinning room and the “Macartney Room”, a very comfortable and relaxed room with seating area with open fire. It has been said that Lissanoure is one of County Antrims best kept secrets and it is easy to see why because it is very private and secluded in a beautiful setting. 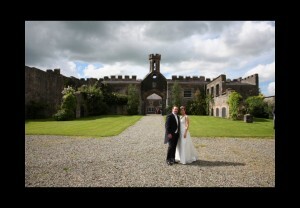 So any weddings at Lissanoure Castle are sure to be a wonderful occasion. For me as a Northern Ireland Photographer it is wonderful to have such beautiful venues only a short drive from home. 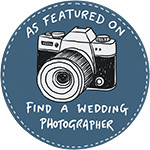 © 2019 Photographer in Northern Ireland|ProPhoto Photo Theme | Designed by That's Kinda Cool!